How many innovations remain fresh and innovative, 26 years after they debut? The late Michael Jackson’s video Thriller qualifies as one of the few. Jackson’s video was released on Dec. 2, 1983. It was 14 minutes long and was directed by John Landis, who also co-wrote the script for it together with Jackson. It cost an enormous $500,000, unheard of at the time. Guinness World Records claims the music video sold 9 million copies, more than any music video in history. Thriller was unconventional. It was a horror film spoof, with zombies performing with Jackson. After the video was made, the music was re-edited to match the video. The main dance sequence was filmed in East Los Angeles. In the video Jackson transforms both into a zombie, and then into a cat monster. The video includes spoken words by Vincent Price, Hollywood star of many horror movies, and includes incidental music written by Elmer Bernstein. Many many thousands of music videos have been made since Thriller. Many are direct copies of the style and content of Thriller; few come close to Thriller’s pathbreaking innovations. Readers are invited to view it again on YouTube. It is hard to believe that it was made in 1983. Meet Bill James. Bill is currently Senior Advisor to the Boston Red Sox baseball team. He is credited in part with helping Boston win two World Series championships, after failing to win one since 1919. James invented “Sabermetrics” (acronym for the Society for American Baseball Research). His innovation: Use statistical analysis, i.e. facts, to analyze why teams win and lose, instead of just believing in age-old truisms everybody knows are true, because, well — everybody believes them and repeats them. James crunched a batch of numbers, and put out (in mimeograph form, the early version of photocopying) The Bill James Baseball Abstract in 1977. In it he began to make keen observations puncturing long-held beliefs in baseball. He persisted, and in a few years a major publisher agreed to publish his Abstract annually. James is an improbable revolutionary. While working on his ‘stats’, he was a watchman in a pork-and-beans factory (Stokely – Van Camp). * Don’t evaluate pitchers according to their wins and losses. This is highly misleading. where 1B, 2B, 3B and HR are singles, doubles, triples and home-runs, respectively, and AB is number of at-bats. Babe Ruth holds the record slugging percentage: 0.690. * “Closers” (pitchers brought in, in the late innings, when a lead is threatened) are misused. Bring in ‘closers’ much much earlier, before you get in trouble. All of James’ iconoclastic observations are based on extensive data, compiled game-by-game. What can managers learn from Bill James and his analysis of baseball? “Bring me data”. When innovations are proposed, when claims are made — ask for data. Ask for evidence. Bill James produced it. When he did, the way the experts strategized baseball changed completely. George William “Bill” James (born October 5, 1949, in Holton, Kansas) is a baseball writer, historian, and statistician whose work has been widely influential. Since 1977, James has written more than two dozen books devoted to baseball history and statistics. His approach, which he termed sabermetrics in reference to the Society for American Baseball Research (SABR), scientifically analyzes and studies baseball, often through the use of statistical data, in an attempt to determine why teams win and lose. In 2006, Time named him in the Time 100 as one of the most influential people in the world. He is currently a Senior Advisor on Baseball Operations for the Boston Red Sox. An aspiring writer and obsessive fan, James began writing baseball articles after leaving the United States Army in his mid-twenties. Many of his first baseball writings came while he was doing night shifts as a security guard at the Stokely Van Camp pork and beans factory. Unlike most writers, his pieces did not recount games in epic terms or offer insights gleaned from interviews with players. A typical James piece posed a question (e.g., “Which pitchers and catchers allow runners to steal the most bases?”), and then presented data and analysis written in a lively, insightful, and witty style that offered an answer. Editors considered James’ pieces so unusual that few believed them suitable for their readers. In an effort to reach a wider audience, James self-published an annual book titled The Bill James Baseball Abstract beginning in 1977. The first edition of the book presented 80 pages of in-depth statistics compiled from James’ study of box scores from the preceding season. Over the next three years James’ work won respect, including a very favorable review by Daniel Okrent in Sports Illustrated. New annual editions added essays on teams and players. By 1982 sales had increased tenfold, and a media conglomerate agreed to publish and distribute future editions. While writers had published books about baseball statistics before (most notably Earnshaw Cook’s Percentage Baseball, in the 1960s), few had ever reached a mass audience. Attempts to imitate James’ work spawned a flood of books and articles that continue to this day. In 1988, James ceased writing the Abstract, citing workload-related burnout and concern about the volume of statistics on the market. He has continued to publish hardcover books about baseball history, which have sold well and received admiring reviews; these books include two editions of The Bill James Historical Baseball Abstract. • The Baseball Book (1990–1992) was a loosely-organized collection of commentary, profiles, historical articles, and occasional pieces of research. • The Player Ratings Book (1993–95) offered statistics and 50-word profiles aimed at the fantasy baseball enthusiast. • The Bill James Handbook (2003-present) provides past-season statistics and next-season projections for Major League players and teams, and career data for all current Major League players. • The Bill James Gold Mine (2008-present) is a collection of new essays and never-before-seen statistics, as well as profiles of players and teams. • Runs Created. A statistic intended to quantify a player’s contribution to runs scored, as well as a team’s expected number of runs scored. Runs created is calculated from other offensive statistics. James’ first version of it: Runs Created = (Total Bases * (Hits + Walks))/(Plate Appearances). Applied to an entire team or league, the statistic correlates closely to that team’s or league’s actual runs scored. Since James first created the statistic, sabermetricians have refined it to make it more accurate, and it is now used in many different variations. • Range Factor. A statistic that quantifies the defensive contribution of a player, calculated in its simplest form as RF = (Assists + Put Outs)/(Games Played). The statistic is premised on the notion that the total number of outs that a player participates in is more relevant in evaluating his defensive play than the percentage of cleanly handled chances as calculated by the conventional statistic Fielding Percentage. • Defensive Efficiency Rating. A statistic that shows the percentage of balls in play a defense turns into an out. It is used to help determine a team’s defensive ability. Calculated by: 1 – ((Opp. Hits + Reached on Error – Opp. Home runs) / (Plate appearances – Walks – Strikeouts – HitByPitch – Opp. Home runs)). • Win Shares. A unifying statistic intended to allow the comparison of players at different positions, as well as players of different eras. Win Shares incorporates a variety of pitching, hitting and fielding statistics. One drawback of Win Shares is the difficulty of computing it. • Pythagorean Winning Percentage. A statistic explaining the relationship of wins and losses to runs scored and runs allowed. In its simplest form: Winning Percentage equals Runs squared divided by the square of Runs plus the square of Runs Allowed. The statistic correlates closely to a team’s actual winning percentage. • Game Score is a metric to determine the strength of a pitcher in any particular baseball game. • Major League Equivalency. A metric that uses minor league statistics to predict how a player is likely to perform at the major league level. • The Brock2 System. A system for projecting a player’s performance over the remainder of his career based on past performance and the aging process. • Similarity scores. Scoring a player’s statistical similarity to other players, providing a frame of reference for players of the distant past. Examples: Lou Gehrig comparable to Don Mattingly; Joe Jackson to Tony Oliva. • Secondary Average. A statistic that attempts to measure a player’s contribution to an offense in ways not reflected in batting average. The formula is (Extra bases on hits+Walks+Stolen Bases)/At bats. Secondary averages tend to be similar to batting averages, but can vary widely, from less than .100 to more than .500 in extreme cases. Extra bases on hits is calculated with the formula (Doubles)+(Triplesx2)+(Homerunsx3) or more easily, (Total Bases)-(Hits). • Power/Speed Number. A statistic that attempts to consolidate the various “clubs” of players with impressive numbers of both home runs and stolen bases (e.g., the “30/30” club (Bobby Bonds was well known for being a member), the “40/40” club (José Canseco was the first to perform this feat), and even the “25/65” club (Joe Morgan in the ’70s)). The formula: (2x(Home Runs)x(Stolen Bases))/(Home Runs + Stolen Bases). • Approximate Value. A system of cutoffs designed to estimate the value a player contributed to various category groups (including his team) to study broad questions such as “how do players age over time”. Meet the Wiggles, one of the world’s most successful, most popular, and most revenue-generating, rock groups. Never heard of them, you say? Of course not. You have to be 5 years old to be a fan. The Wiggles are a children’s musical group formed in Sydney, Australia in 1991. The original members were Anthony Field, Murray Cook, Greg Page, Jeff Fatt and Phillip Wilcher. Field and Page were students of pre-school education at Macquarie University. They identified a powerful niche: music for 5-year-olds. They use their background in theories of child development to tailor their videos, music, live shows and TV programs specifically for words five-year-olds know, songs they can sing, and dances they can dance. The Wiggles are “the world’s biggest preschool band” and were named Business Review Weekly’s top-earning Australian entertainers for four years in a row and earned AU$45 million in 2007 (about the same in US $). The group proves a key principle of innovation: Identify a need, learn your customers’ preferences well and deeply, and meet the need in creative and enjoyable ways. The Wiggles are niche players, but have shown their niche is substantial — there are a whole lot of five-year-olds in the world. While others seek the money in the 15-year-old and up group, they have done ‘down market’ — literally — with great results. Here are the lyrics to one of The Wiggles’ great all-time hits. Note that the song is fun, easy to sing, educational (teaches healthy eating) and suited to their clients. Repetitious? Hey — we’re talking five-year-olds! Anything good is worth repeating ten million times…. Yummy Yummy, Yummy Yummy, Fruit Salad! We’ll all be ating it very soon! Let’s do it all again real soon! A fierce and bloody war is being waged, by the United States authorities against the Colombian and Mexican drug cartels, and in Mexico thousands of people have been killed. This war is in part about innovation. The drug lords first smuggled drugs into the U.S. using personal messengers, who often swallowed drugs in plastic bags and then, after reaching their destination, retrieved them from their waste. The quantities, however, proved too small. The drug lords then smuggled drugs in ships, sometimes in tin cans labeled “pineapple” or “corn”. That too was eventually discovered and stopped. Then they bought aircraft. Sophisticated radar tracked them, and some were shot down. Next they bought high-speed speedboats, faster than any Coast Guard vessel. But these too were eventually interdicted. The final stage in this innovation war was …submarines. The drug lords ordered and bought submersible vessels, some 20 ft. long. These were not true submarines, but submersible vessels with snorkels (air pipes) that travelled just below the surface. Each such vessel can carry up to 10 tons of cocaine! When authorities in Colombia stopped them, the crew simply scuttled the submarines, which sank, with all the evidence with them. So, a new law has been enacted which makes it illegal to be on, or in possession of, such vessels, with a 12-year jail sentence resulting, even if the vessels are scuttled. Despite huge expenditures, large manpower and desperate efforts, America is losing the drug war. Many many billions of dollars worth of cocaine and other drugs flood into America annually. It is said, only half in jest, that the money in Miami is covered with a thin film of white powder. These resources make it possible for drug lords to find new and innovative ways to transport their death-dealing cargoes, no matter how costly. The only solution is for those battling the drug lords to be even more creative and innovative, to anticipate their next moves, and to interdict them aggressively and cleverly. When he achieved ‘flag rank’ (rank of Admiral), the current head of the U.S. Joint Chiefs of Staff, Mike Mullin got some advice he never forgot. “This is the last time people around you will tell you the truth, Mike,” a friend told him. And indeed it was. Who bears bad tidings to someone who can influence your career? Since then Mullin has determinedly visited the field, spoken to soldiers and sailors, and learned first hand, for himself, what is going on! Senior managers can learn from Mullin and his travels. On a recent trip I stood in a queue with a young software engineer from Motorola. In just 10 minutes he gave me a full, perfect and logical diagnosis of what ails Motorola, and how he thinks it can be fixed. This great company has been in decline for years. Do its leaders talk to their people? Do they listen? If so, why have they not taken drastic action sooner? Where is the CEO of Motorola? And, for that matter, where were the CEO’s of GM, Chrysler, Lehman Brothers, AIG, Bear Stearns….? In their offices? Or out in the field, talking to customers. Guy Kawasaki, the legendary marketing guru for Macintosh, relates that he hates to see managers sitting in their offices, or for that matter, those who report to them. They should be out in the field, in the marketplace, talking to line workers, talking to sales personnel, talking especially to customers….to know what is going on, and then, to act on it. In these troubled times, it is particularly urgent to keep a hand on the pulse of the rank and file in the organization, to talk to everyone down to the mail clerk, and especially to talk to customers and ordinary people, to sense the massive changes occurring in preferences and in business paradigms. You cannot do this from your office. Pack your bag. Lock your office. Take along some clean shirts and underwear. Hit the road. When you know more clearly what in the world is going on — come home. And then …act! There is a strong, logical connection between the TV series Star Trek, its inventor Gene Rodenberry, da Vinci, Picasso, Einstein, Edison, the pre-frontal cortex (part of the brain), and psychologist Daniel Gilbert. The links are obvious, once you know them. Star Trek was a successful TV series, and later movie and sequels. Its theme: the Starship Enterprise “to go where no man has ever gone before”. This is the principle of innovation. The inventor of Star Trek was Gene Rodenberry. He was an Air Corps pilot, flew bombers in World War II (over 80 missions), later became a Pan Am pilot and saved his passengers with a brilliant desert crash landing in the Syrian desert. His dream and passion: to be a TV writer and producer. He quit his job as a pilot, moved with his family to Los Angeles and became a policeman for 7 years, to support his family while he pursued his dream. He sold several TV scripts, finally selling and producing Star Trek. The network wanted to cancel it, but its dedicated fans staged a write-in campaign and saved it. How many of us would have followed Rodenberry’s path, quit a great job to pursue a dream and passion? What keeps most of us from doing this? The answer is: our pre-frontal cortex. This part of the brain, according to Harvard psychologist Daniel Gilbert, is our ‘simulator’, our imagination. With it we can simulate future events and experience them before they happen. Only humans can. Animals lack this ability. But the pre-frontal cortex, which has developed only over the past 2 million years, is limited. It has ‘hedonic bias’. That is — it overestimates the happiness we think we will derive from future events (mostly things we buy) and overestimates the pain and suffering we think we will sustain from bad things that may occur. We fail to pursue our dreams, perhaps, because we think about failure, overestimate the pain it will cause — and never try to pursue our dreams and our passions. We come up with ‘excuses’ — reasons why we never even tried. The world’s great inventors and innovators avoided this trap. Da Vinci had every reason in the world not to amount to anything. He was born out of wedlock, in the 15th C., when the Church controlled every facet of life. Had he been born in wedlock, he would have become a notary, like his father, and been trapped by the life of a Guild member. As an illegitimate child, he had the freedom to pursue anything he chose — and he did. Picasso lived during a turbulent 9 decades, experienced war, Nazi occupation of Paris, a ban on sculpture and painting — and never missed a day in his studio, producing amazing works of art, fearlessly innovating, producing an astonishing total of 50,000 works! If I know what I am going to do, he once said, why bother doing it? Einstein finished his Ph.D. and could not get a university post, because his professor had been insulted by him and failed to recommend him. Because he was only a lowly Swiss patent office clerk, he had the time to write three revolutionary papers, on relativity, the atomic structure of matter and E=MC2. All of this, in one year, 1905. He changed the world. Edison, as a child, was booted out of school. He was hard of hearing and had ADHD (attention deficit hyperactivity disorder). His mother home-schooled him and he taught himself by reading. He invented the phonograph, because of his deafness — he sensed vibrations through his fingers and realized that sound was something real, something physical, that could be captured and stored. What is your dream? Your passion? What are you doing to achieve it, to implement it? What are your excuses for not doing so? Can you learn from Edison, Einstein, Picasso, and da Vinci, and turn your constraints into creativity levers? Can you emulate Gene Rodenberry and pursue your dream no matter what? Can you learn from Daniel Gilbert and sharpen your pre-frontal cortex? Here is a small exercise that may help. Create a digital camera. It is a very special one. It takes a photograph 5 years into the future. Picture yourself in 2014. What do you see? What are you wearing? What does the room look like? Picture every detail. Imagine it. Now — think ahead backward — what will you do today to make that photograph come true in five years? I believe Gene Rodenberry did this. Try it. List all your excuses for not following your dream — and then turn each of them into a reason to pursue it passionately. An interesting article in the latest issue of Business Week by its resident economist, Michael Mandel, makes the case that the Great Recession, as it is known, reflects not only excessive borrowing and financial collapse, but inadequate innovation in previous decades. “…there’s growing evidence that the innovation shortfall of the past decade is not only real but may also have contributed to today’s financial crisis. Think back to 1998, the early days of the dot-com bubble. At the time, the news was filled with reports of startling breakthroughs in science and medicine, from new cancer treatments and gene therapies that promised to cure intractable diseases to high-speed satellite Internet, cars powered by fuel cells, micromachines on chips, and even cloning. These technologies seemed to be commercializing at “Internet speed,” creating companies and drawing in enormous investments from profit-seeking venture capitalists—and ordinarily cautious corporate giants”. When pieces of paper, and the fortunes they created, attracted the best brains, rather than the tough road of technological innovation, and when those pieces of papers became detached from the underlying innovation that drives profits, the collapse was inevitable. When will see see ‘green shoots’, in America and the world? Perhaps, when powerful new innovations reach the market, driving new waves of consumer spending and investing — a result that followed after every major Depression, and will likely follow after this one as well. Perhaps America will rediscover, and reinvent, its innovative energy. Can you find a connection between the following: Chaim Weizmann, U.S. Patent No. 1315585, the bacterium Clostridium acetobutylicum, Louis Pasteur, Arthur Balfour, Winston Churchill, the global biotechnology industry, the birth of Israel, and Charles Darwin, whose 200th birthday was celebrated last Feb. 12? Here is the story in full. Chaim Weizmann was born in 1874 in the tiny shtetl of Motol, near Pinsk, in Western Russia (today, Belarus). He wanted to study science but as a Jew, was not allowed. He studied chemistry at the University of Fribourg, in Switzerland, then taught at the Univ. of Geneva. He emigrated to England in 1904. There, he joined the staff of the University of Manchester. In 1910 the U.K. Home Secretary named Winston Churchill signed Weizmann’s citizenship papers. Not long after arriving in Manchester, in 1906, Weizmann met a dynamic politician named Arthur Balfour while Balfour was politicking in Manchester for his Unionist Party. It was shortly after Uganda had been mooted as a possible homeland for the displaced Jews. Balfour asked Weizmann why Palestine—and Palestine alone—could be the basis for Zionism. ‘Are there many Jews who think like you?’ he asked. ‘I believe I speak for millions of Jews,’ replied Weizmann. Weizmann and Balfour were later to meet again, with fateful results. In World War I Britain was battling Germany. The British needed an explosive known as cordite to propel shells for the 12-inch guns of its fearsome Dreadnought battleship. Cordite was made of nitroglycerine mixed with acetone. When the acetone dried, it formed explosive ‘cords’. Acetone was very scarce. It was feared that the lack of acetone would force the British to modify the Dreadnought’s guns. In August 1914, Weizman writes, he found a circular on his desk from the War Office, inviting scientists to report any discovery of military value. Perhaps, Weizmann thought, I can ‘ferment’ acetone. Weizmann offered the War Office his fermentation processes. There was no response. But later, the editor of the Manchester Guardian, C.P. Scott, who had heard of Weizmann’s scientific prowess, contacted a Welsh politician, David Lloyd George, then Minister of Munitions. Weizmann and Lloyd George met. Perhaps I can find a microbe in nature, able to synthesize acetone, Weizmann theorized. In a few weeks, he found it, after studying bacteria occurring in soils, able to turn cereal starch into acetone and butyl alcohol. It was Clostridium acetobutylicum. A young politician named Winston Churchill, then First Lord of the Admiralty, summoned Weizman and spoke with Churchillian bluntness. “I was so terrified by this lordly request that I almost turned tail,” Weizmann wrote later. But fortunately, he did not. A huge acetone plant was soon set up, using Weizmann’s bacterial fermentation process. There was a wartime shortage of grain. So Weizmann and the Ministry of Munitions had schoolchildren collect horse chestnuts instead, fermented in six huge silos. United States Patent Office lists patent number 1315585, filed Dec. 26, 1916, issued to “Charles Weizmann” on Sept. 1919, for the acetone process. Weizmann’s process was replicated in huge plants in Canada and in America. New versions of Weizmann’s original process are used today to produce biofuels, making Weizmann arguably one of the fathers of biotechnology. David Lloyd George became Prime Minister of Great Britain late in 1916. When he asked Weizmann what payment he chose for his crucial wartime synthesis of acetone, Weizmann declined any payment, just asking for (according to Lloyd George) “the rights to Palestine.” As a result, Arthur Balfour (who was then Foreign Minister) issued the famous Declaration on Nov. 2, 1917, stating that “His Majesty’s government view with favour the establishment in Palestine of a national home for the Jewish people”, in a letter to Baron Rothschild. It is plausible, therefore, to argue that the birth of Israel arose directly from Balfour’s declaration, and the little bacterium Clostridium acetobutylicum directly responsible for it. And Charles Darwin? Where does he enter our story? Trial and error is, of course, a capsule description of Darwin’s theory of natural selection. Nature does millions of trial-and-error ‘experiments’ — accidental mutations that create new traits (“trials”). Most are unsuccessful (“errors”). A few help the species survive to procreate, and hence endure. Weizmann’s biography is titled Trial and Error***. Trial and error describes how Weizmann, as a scientist, sought a way to harness fermentation to synthesize acetone, finally hitting upon Clostridium acetobutylicum. Weizmann himself has the last word. “From the beginning,” he writes in Trial and Error, “I looked upon Zionism as a force for life and creativeness residing in the Jewish masses, [not solely] the blind need of an exiled people for a home of its own.” He got his wish. Weizmann would have been pleased to see how, in the 21st C., the creativity of Israel’s scientists and engineers — including several hundred biotechnology startups — have made Israel a world high-tech power. And it all started with a clever little bacterium. 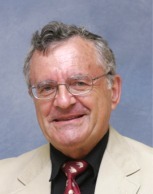 *Prof.(emeritus) and Academic Director, Technion Institute of Management. **See Geoffrey Lewis, The Zionist, the Zealot and the Declaration Which Changed the World (Hambledon, London: 2009). ***Chaim Weizmann. Trial and Error. Hamish Hamilton: London, 1949.